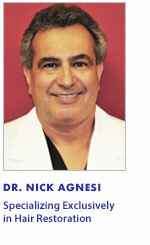 Welcome to Advanced Hair Restoration, the medical practice of Dr. Nicholas Agnesi. 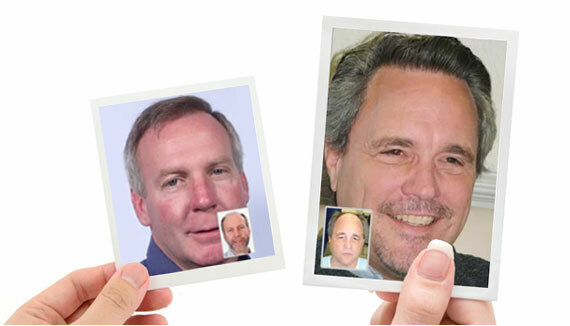 Our practice dedicated solely to hair restoration. If you have concerns about hair loss, baldness, or thinning hair, we can help. 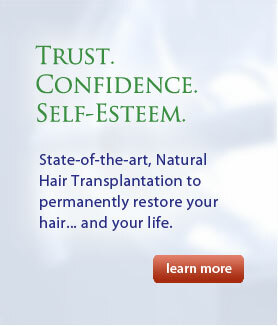 Utilizing the latest techniques in Follicular Unit Extraction and Transplantation, we are committed to providing the best possible care and the most natural hair transplants for our patients. 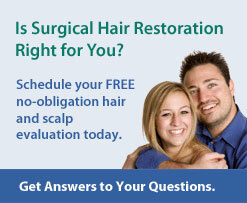 Hair restoration is one of the most important decisions a patient will ever make about his or her appearance. Dr. Agnesi is personally involved in each hair transplant procedure. Because he has built his practice on the principle of the highest quality of patient care and satisfaction, Dr. Agnesi and his professional staff takes the time to educate his patients before a decision to proceed with any procedure is made. We encourage you to take the first step to a new you today and schedule a consultation and hair loss evaluation with the trained professionals at Advanced Hair Restoration. Experience the skill, artistry, and natural results that set Dr. Agnesi apart from all other physicians in the field.